It is not a weight loss diet. Bircher muesli was invented by Swiss physician Maximilian Bircher-Benner who hypothesised that a diet rich in grains, fruit and vegetables was more favourable than large amounts of animal proteins. He was right, we get health benefits from grains like oats, which are a good source of soluble fibre (read our post on this here https://www.monashfodmap.com/search/?query=soluble+fibre),and beta glucan (helpful for maintaining healthy cholesterol levels). 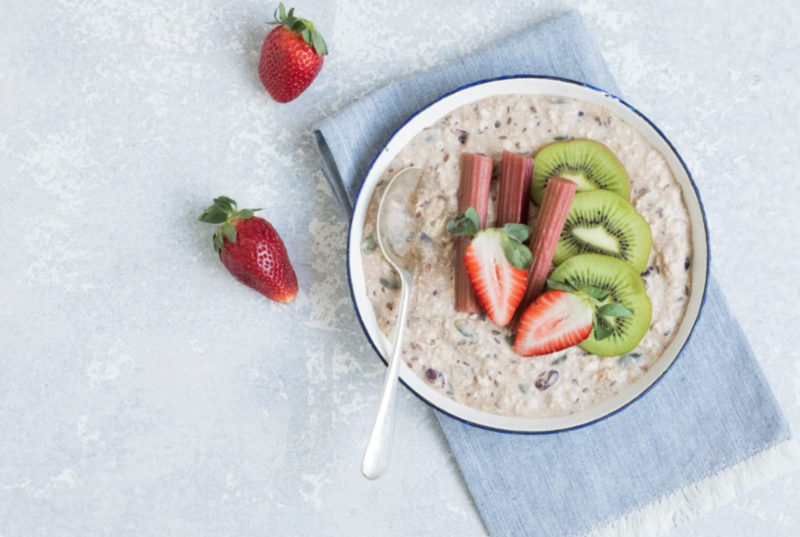 Bircher muesli can be paired with fruit for sweetness with added micro-nutrient value and dairy for calcium and some protein. The traditional Bircher contained apples and honey – high in excess fructose and sorbitol, not such a great option for people following a low FODMAP diet who find it difficult to tolerate these foods. So this recipe is a low FODMAP take on a balanced, healthy bircher. Place oats and almonds in a food processor and pulse a few times to make the oats smaller. This will improve the texture of your Bircher. Pour oats and almonds into a bowl and add all other dry ingredients, mix well. Pour in the milk and water, cover and place in the fridge overnight. Halve the recipe for a single serve and make it in a jar for a ‘Grab and go’ breakfast. Don’t have a food processor? No problem, use quick oats and flaked almonds instead! This mixture will last up to 4 days in the fridge so double the quantity for some easy meal prep.